Beijing is the vibrant capital of the People's Republic of China. It’s the second-most populated city in China and loaded with unique cultural experiences. Beijing is one of the major tourist destinations in the world. Popular attractions of this city include the Yonghe Temple, Wangfujing Street, and Tiananmen Square, which is the famed gateway to the Forbidden City. 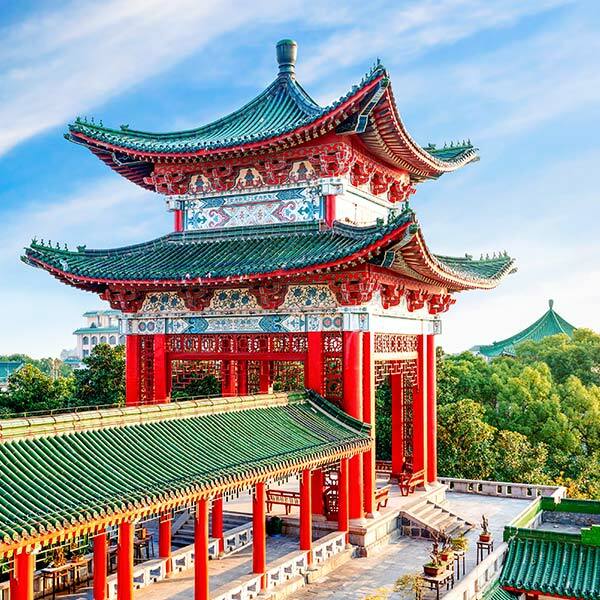 Cheap flights to Beijing are now available for a limited period of time, so get ready to be engulfed by the enchanted attractions of this city. Beijing is home to Beijing Capital International Airport (PEK), which is an estimated 30-minute drive to Beijing’s city centre. 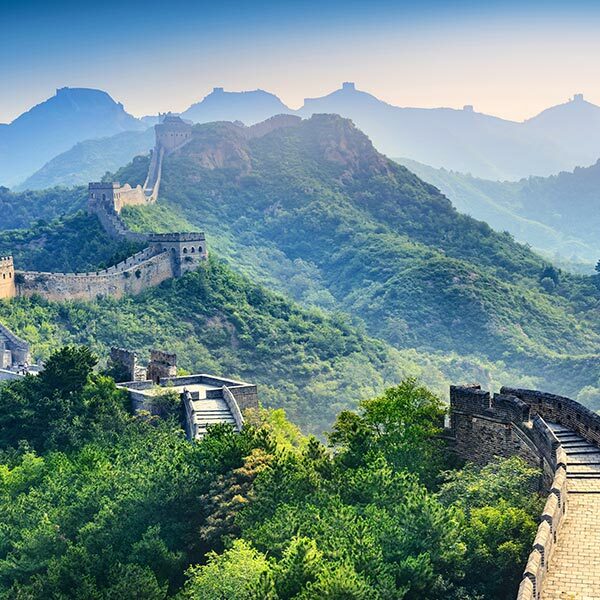 The Great Wall of China is the longest structure ever built by humans and one of the greatest wonders of the world. It is an impeccable sight that many wish they could bear witness to at least once in their life. 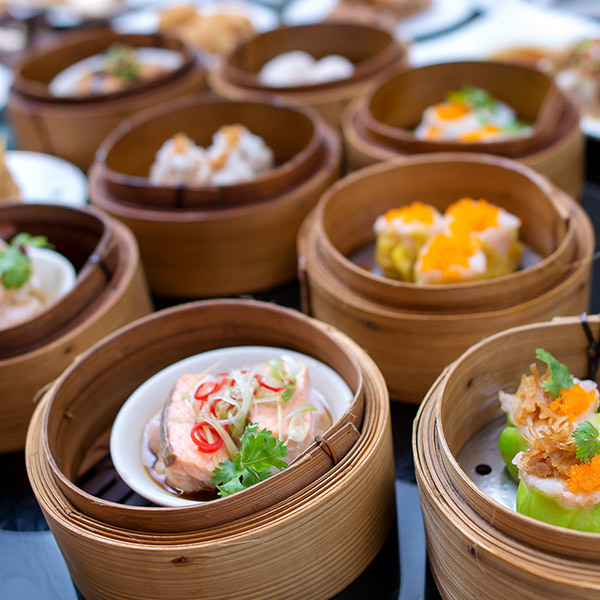 Beijing has 60,000-plus restaurants and its cuisine is influenced by culinary traditions from all over China, including noodles, dumplings and soup dishes that will leave you wanting more. 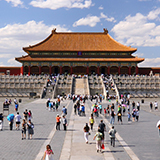 The Forbidden City is China’s best-preserved collection of ancient buildings and the largest palace complex in the world. It is definitely a cultural experience every visitor would appreciate. There is no ideal time to visit Beijing, but if forced to choose, consider planning your vacation between September and October, as this is the time when the weather is most pleasant (cool during the evening and warm, dry and sunny with clear skies during the day). During the months between July and August, the temperatures can exceed 40°C. Peak seasons coincide with popular Chinese holidays, festivals or events, such as the Chinese New Year which takes place during spring. Chinese New Year is a great time to visit the city - it is said to be an experience of a lifetime. Travellers can expect goods to be slightly overpriced and the city becomes crowded, as this is one of China’s biggest festivals. A place with a rich history dating back several thousand years - it is not hard to see why it has so much to offer. Whether you are looking for a cultural, historical or even just a cuisine related adventure, this city has everything you need to make your holiday one to remember. 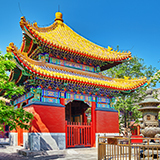 Beijing is home to many sacred temples that are very close to perfection, including the Yonghe, Tanzhe, and Yunju Temple which are the most beautiful temples in Beijing. The city is a major tourist attraction in itself. You definitely need to spend more than a week in this teeming urban paradise to understand its rules, millenary traditions and unique charm. With its inimitable mix of architecture, nature and diversity, this capital city will certainly be your next object of fascination. 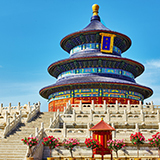 Compare several airlines, and book your cheap flights to Beijing online at Travelstart! Beijing is a very safe city and violent crimes are almost unheard of. The city has a very strong reputation for having one of the lowest crime rates, not just in Asia, but globally as well. Don’t let this blind you to crime, as with any city there are bad and good sides to Beijing. During peak seasons especially, unexpected incidents of petty crime have been reported. Tourists should be aware of their surroundings, especially due to the fact that tourists tend to stand out more than locals, which at times can make them easy targets. Since Beijing is one of the main tourist destinations in the world, the accommodation that is offered here is pretty much close to perfect. There are various beautiful hotels that visitors can choose from, depending on your taste and budget. Beijing is the most important transportation hub in the mainland of China in air, rail and road. Due to Beijing being densely populated, transportation in the city’s urban area can become a little overcrowded, especially during rush hours. There are many ways of getting around in Beijing, most of which are easy to use and inexpensive. The various public transportation options available include subways, buses, sanlunche (three-wheel-car) and taxis.